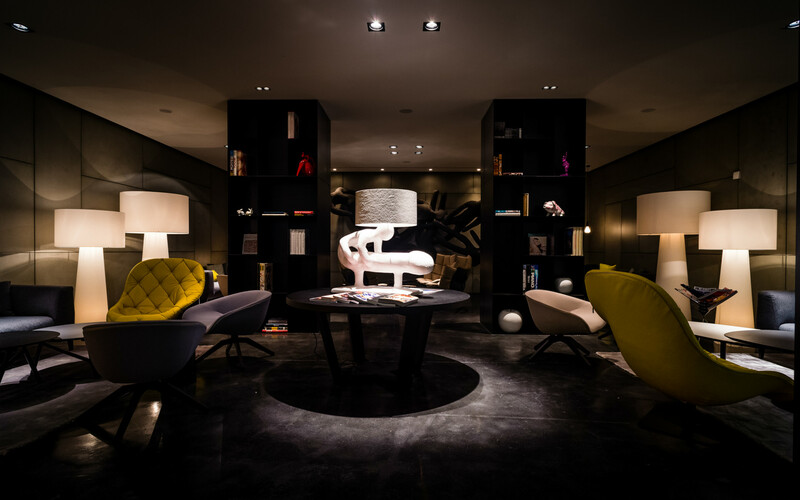 At art’otel amsterdam, a wide selection of art by Atelier Van Lieshout perfectly complements the stylish décor of the public areas and guest rooms. Atelier Van Lieshout takes its creative vision from owner Joep van Lieshout, who strives to break society’s rules through his work that balances art, architecture and design. Ranked as one of the top five most recognised Dutch artists in 2012 by acclaimed Elsevier Magazine, van Lieshout is a true global artist with a distinguished customer base, including recognised museums and art collectors. One of Atelier Van Lieshout’s most well-known themes is represented in Course of Life, which represents simplicity and thedifferent phases of human life. Guests may view 120 works from this eclectic collection in the public areas, bedrooms and art gallery at our hotel. After touring Artelier Van Lieshout's art, head to the library or the lounge to meet with friends and discuss these monumental works.